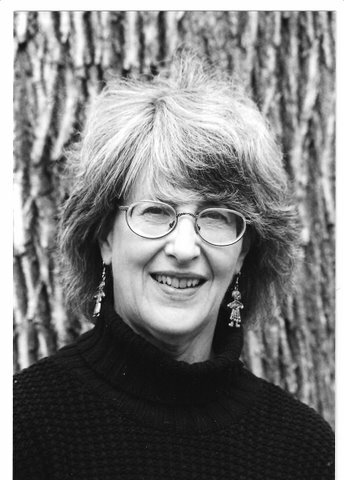 As promised, today Sandy Asher concludes this month’s informal chat about a subject of interest to authors and others involved in the field of children’s literature. The topic, About This Business of Internet Publishing, has been discussed on March 6 by me, March 13 by Paula Morrow, and March 20 by Michael Wilde. 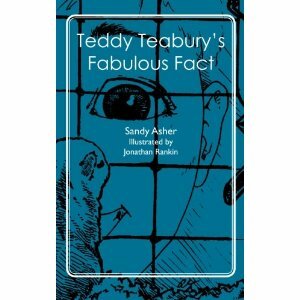 Now we hear from Sandy who is bringing back her book, TEDDY TEABURY’S FABULOUS FACT, as a publish-on-demand title. Read on! There was a time, very early in my career, when I balked at editors’ detail-oriented, nit-picky thoroughness. Now I worry they may be too busy with other projects to give my work the full attention it needs. Even after many years of experience, I’m really nervous about publishing anything that hasn’t been vetted by a professional editor. We’re all far too close to our own work to see it as readers will receive it. Editors help us bridge that gap. And so, my only experience with self-publishing has been to reissue — twice — TEDDY TEABURY’S FABULOUS FACT, an already well-edited middle grade reader. TEDDY was originally a Dell Yearling Book. It had a good going-over – or three or six – for content and style by my then editor Bebe Willoughby, as well as meticulous attention to mechanics, typos, and other details from an in-house copyeditor and proofreader at Delacorte/Dell. When the book went out of print and the rights reverted to me, I could reissue it by simply having it set up in a print-ready manner by my son Ben, a freelance, professional copyeditor and proofreader. Together, we kept a keen eye out for late-blooming typos. (See Ben’s info at http://www.beneasher.com ). That first reprinting of 500 copies was done with a clear marketing plan, though this was long before social media began providing world-wide exposure. School visits, children’s literature festivals, and teacher and librarian conferences were the main marketing opportunities, and I was doing lots of those. With a reissued TEDDY, I could continue to go forth armed with the dramatic and amusing story behind the book’s dedication “To the children of Otterville, Missouri, who asked me to write it and made sure I did.” I already knew from experience with the Dell edition that kids loved hearing the story and immediately wanted to read the book. I was confident I could sell 500 copies. And I did. Then I got tired of listening to myself tell the story. Five hundred copies were enough. Time passed, and the whole self-publishing picture changed. With all the choices offered by technology and writers doing so much of their own marketing anyway, it’s become quite an attractive way to go. Plus, TEDDY has appeared a couple of times as a 19-part newspaper serial, and the illustrations commissioned by the serial licensing company were available. (The original illustrations by Bob Jones were not; my first reissue had no illustrations – not a good way to go with a middle-grade novel.) My agent mentioned that she’d checked out CreateSpace and was recommending it to her authors who wanted to reissue their own books. And there you were, David, all excited about your ebook GOOSE LAKE. So I decided to give self-publishing another try. TEDDY TEABURY’S FABULOUS FACT seemed the logical choice for my plunge, since I knew how to market it. I’m ready to tell the story behind the dedication again — not here, because it’s too long, but anywhere I’m invited to speak (hint, hint). Wow! This has been a very different experience from my first foray into self-publication. Back then, I used a general printer who did a nice job the old-fashioned way, following my directions but offering little guidance. With CreateSpace, I’ve had a steady flow of phone calls and email messages, an on-line account, a dashboard that alerted me to when I needed to take action and now tracks my orders and royalties, and helpful directions every step of the way. I got to alter and approve the jacket and proofread everything on-line first and then in hard copy, twice. And six days a week, there were real people to talk to, attentive, competent, cheerful people with satisfying answers to my questions. My personal “project team” at CreateSpace did an attractive design job and worked hard to get everything just right. Since my book had already been edited at Dell, I bought a simple and less costly package, but there are various options from do-it-yourself-for-free to full-service, in-depth editing. There’s a motive, of course, behind their perfectionism. CreateSpace books are automatically offered on Amazon.com and there’s a sizable cut for the company out of each copy sold. It’s to their benefit to create a superior product. I have no problem with that. The books are print-on-demand, which means I don’t have a basement full of copies I don’t immediately need. (Will I ever forgive the long-ago cat who once used a carton as a litter box?) I can order copies wholesale for presentations as I go. I could pay a little more to have an ebook edition as well, but I don’t quite trust the time lapse between my presentation generating interest and the listener’s opportunity to order the book on-line. I’d rather have hard copies right there with me. I’m fairly confident I can earn back my investment before once again tiring of the story, but even if I don’t, there’s Amazon.com selling the book on-line for me. (See at http://www.amazon.com/dp/1467945153/ref=cm_sw_r_fa_dp_zUgBpb0JEDDV5 ). Easy enough to email the link to family and friends and post it on Facebook. Best of all, print-on-demand guarantees that TEDDY TEABURY’S FABULOUS FACT will never go out of print again. So, do I recommend self-publication? Under certain conditions, I do, with these caveats: Have reasonable expectations, know your market, and devise a plan for reaching that market. Self-publishing isn’t right for all books, and, no matter how they’re published, books rarely sell themselves. Last but definitely not least: Do not venture out there alone. See above for how I love editors! I’m happy to tell you that tomorrow, March 27, Sandy Asher will add her remarks to this month’s topic — About This Business of Internet Publishing. You’re going to enjoy what she has to say about her current print on demand experiences. We’ve enjoyed our special guests to our column this month, Paula Morrow and Michael Wilde, who brought us their wisdom and insight in the business of self-publishing via the Internet. Your readership and comments tell us that you enjoyed them too. Here’s the lineup for the month. March 20, Michael Wilde, Why an Editor? Wecome to our third Tuesday session of WRITERS AT WORK. This month’s topic is using technology to publish e-books and books on demand. I went first on March 6 with a telling of my first e-book experience: GOOSE LAKE. Last Tuesday we heard from editor Paula Morrow whose remarks were titled, “Independent Editors: What We Do and Why You Need Us.” Today it’s our pleasure to bring you another strong voice of experience in this field: Michael Wilde. Sandy Asher will bat cleanup on the 27th when she discusses her current experiences with publish on demand. So here is the not-so-distant future of how a book will behave: it will reorganize itself to accommodate every digital temptation—a dark current that flows under a lot of professional conversations these days. What happened to focusing on one thing at a time? The editor in me is constantly asking, by the time you reach the end of this sentence, have you already gone to Twitter? How can a book possibly survive? It will, and the why and how came in a query I received only yesterday, four days after the Times article had me ruing not only the demise of books but the death of meaning itself (the Times is good at that). Having surveyed the poor quality of self-published books, the writer decided to seek out an editor. “No matter what the future of the book industry is,” the person writes, “editors are still crucial.” Apart from the obvious validation (that in fact means everything to me), this brief, simple statement gives me hope and a galvanizing optimism: here is understanding, at its core, of a fundamental relationship, an age-old calculus, that determines how a book comes into being and why it acts as it does, no matter the medium or how the end result is marketed. A writer needs an editor and vice versa; that simple. The disparate activities take place in different sections of the brain, I’m convinced, and the writer is not well served should he or she attempt to do both at once. In the same braincase, the editor inhibits the act of writing until the flow is dammed to a dribble. One of them has to be switched off for the other to function properly (i.e., disinhibited, not easy and not recommended). What does all that have to do with publishing, self or otherwise, you might ask? It turns out, everything. Now, in the e-universe, a writer needs an editor more than ever (assuming, of course, the editor knows what she or he is doing, another subject for another day’s blog)—and nowhere is this more emphatically true than in children’s books, which are deceptive if not downright treacherous from an editorial point of view. I don’t have space to go into the particulars, but generally speaking, of all the levels and genres of writing and reading out there, children’s books come closest to poetry in style and composition—and are therefore that much harder to write. In children’s, as in poetry, every word is important, and even more, the order all the words are in, on every page, in every sentence. I can’t stress it enough. There isn’t any wiggle room at all. The text must engage at once and entertain. A first-time author—even a brilliant one—might not automatically know this. A sweat lodge worth of effort and draft after draft may yield a pile of rejections for want of an active verb, a musical phrase, choice of voice, a character’s disposition, any of a thousand factors; then, of course, it has to be somebody’s cup of tea. A grown-up first has to love it. Frustrating, I know. I’m glad to announce that COWBOYS, my new poetry collection, will be introduced in Houston on April 17 at the Texas Library Association Conference. 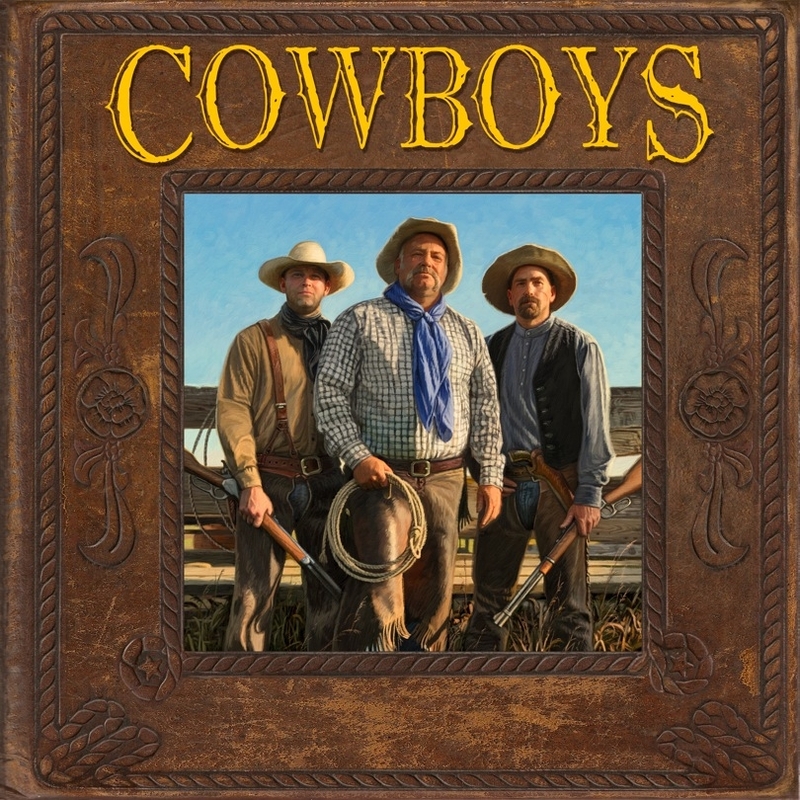 http://www.amazon.com/Cowboys-Western-David-L-Harrison/dp/159078877X/ref=sr_1_1?ie=UTF8&qid=1332023115&sr=8-1 This is a second collaboration with artist Dan Burr. Our first was PIRATES, which was on the Texas Bluebonnet Award 2010-2011 Master List and is on the Indiana Young Hoosier Award 2011-2012 Master List. I’ll talk more about PIRATES in a day or two. Today I just want to sit here and look at COWBOYS. I also want to announce that tomorrow’s guest on WRITERS AT WORK is Michael Wilde. Sandy Asher and I were delighted to welcome Paula Morrow to our monthly chat last Tuesday (March 13) and are equally enthusiastic to have Michael with us tomorrow. Here is a brief bio to help introduce him. Be sure to come by tomorrow! Welcome to the second in this month’s chats on WRITERS AT WORK. We are discussing some of the issues related to self-publishing e-books and books on demand. I led off last Tuesday talking about my adventures so far with my e-book, GOOSE LAKE. Sandy Asher and I invited two special guests to join us this month — Paula Morrow and Michael Wilde. Today we hear from Paul. Next Tuesday, the 20th, it will be Michael’s turn. Sandy will finish up on the 27th. If you are enjoying this month’s topic, I hope you’ll be back on those dates to read the rest of our collective thinking. Self-publishing, e-publishing, and self-e-publishing have rightfully been hailed for breaking down the barrier between authors and publication. We’re seeing a sea-change in the world of books and reading, and like the tide that drenched Canute, it’s not going to go away. I’m not worried that books might disappear, any more than movies disappeared when everyone bought televisions. My concern is about the effect self-publishing and e-publishing will have on the literature of the future. Are we seeing a rise to new literary possibilities? Or a decline to the lowest common denominator? 1. Get the software for you to create an electronic book. 3. Use the software to convert your document to the electronic book format. 4. Make your ebook available from your website. Note that even if you wish to sell your Ebook, you should still have a sample of your eBook available freely to whet the appetites of your prospective customers. What ingredient is missing from this recipe? Alas, the instructions tell you how to publish your rough draft. Too many eager authors rush to publication before their manuscript is ready. “But I have a critique group …” That’s a good thing. Critique partners will give useful feedback during the creative process of writing your book. But how many of the group members have the time for multiple careful readings and the expertise to evaluate every aspect from voice to structure, not to mention page-by-page grammar and mechanics? Most self-publishing companies claim to use professional copyeditors. Okay. If you’re reading this blog, you no doubt know about LinkedIn, an online site for business and professional networking. As of February 2012, LinkedIn has 824,000 users who list “editing” as a skill, marketing themselves as editors. I’m sure that most of these 824,000 souls know how to run spell-check and know something about grammar and punctuation. I’m afraid I don’t consider fixing the mechanics to be enough. A friend of mine self-published a children’s book and paid for “professional editing” as part of the publication package. When I started reading the book, my heart sank. The interest level was junior high. The point of view was adult. The supplementary activities were just right for a five-year-old. The “editor” either didn’t know or didn’t care about giving feedback to make the book artistically satisfying (or even coherent) and marketable. So what exactly does an independent editor do for you? That varies with the editor, of course, so be sure you understand what’s offered before you make a commitment. My own preference is the “forest and trees” approach. The forest is the big picture: structure, language, logic, emotional content, overall quality, and marketability. I pinpoint any problems and give the author specific feedback on how they could be fixed. The trees are the details, not only mechanics but also more subtle line-editing: word choices, stylistic inconsistencies, and the like. I also point out facts that need checking (important even in fiction! ), although I leave the actual research to the author unless we contract for that separately. A book edit is a time-consuming process requiring many, many hours of intense concentration. Before taking on a new client I read the manuscript, and sometimes I return it with a note that I’m not the right editor for this project. If I feel it’s a good fit, I send a proposal and quote. I offer a choice of several levels of feedback, from a one-time critique to multiple revisions before final editing, and we contract in advance for a specific level and a specific time frame. Up to this point there’s no reading fee and no obligation to continue. If the writer and I agree to work together, I determine a flat fee depending on what that particular manuscript needs. Before contacting a private editor, look at your manuscript yourself, have a rough idea what help you want, and decide what your final goal is. If you have no idea what you need, start by reading a good book on writing for children (such as Barbara Seuling’s How to Write a Children’s Book and Get It Published) before you spend money on an outside consultant. Once you have an idea what you expect from the editor, look for someone with experience and expertise in that area. Find out what the person’s credentials are. In checking references, look for specifics: not “she helped me fix my story” but “she put her finger on the place where my plot went astray and gave me clear suggestions for getting back on track.” Expect the person to ask you questions before agreeing to take on your project, so that you’re both aiming for the same goal. An author friend of mine does private manuscript critiques. Not long ago she plaintively commented that she is seeing more and more manuscripts that she describes as “trainwrecks.” New authors are completely disregarding the basic tenets of writing for children. What’s going on? I believe what we’re seeing is fallout from self-publishing. Folks go to press without being edited, others read their stuff and think “gosh, it’s published, it must be right,” and the snowball grows. For new authors, editing is an essential step in the self-publication process. Even established, successful authors can benefit from an external perspective. (See Sandy Asher’s book Writing It Right for lots of great examples of the creative conversation that a relationship between author and editor can spark.) Several years ago a dear friend who has published more than sixty books with traditional publishers decided to try self-publishing and asked me to edit the new manuscript. Our collaboration led to many exciting literary experiences–for both of us. But that’s another story. 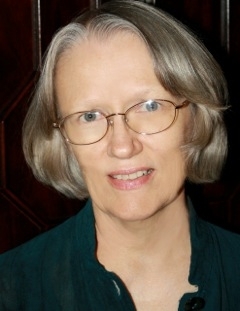 Paula offers private manuscript consultations at www.paulamorrow.com.